This is the first of two very exciting blog posts. To celebrate the launch of my book En Brogue: Love Fashion. Love Shoes. 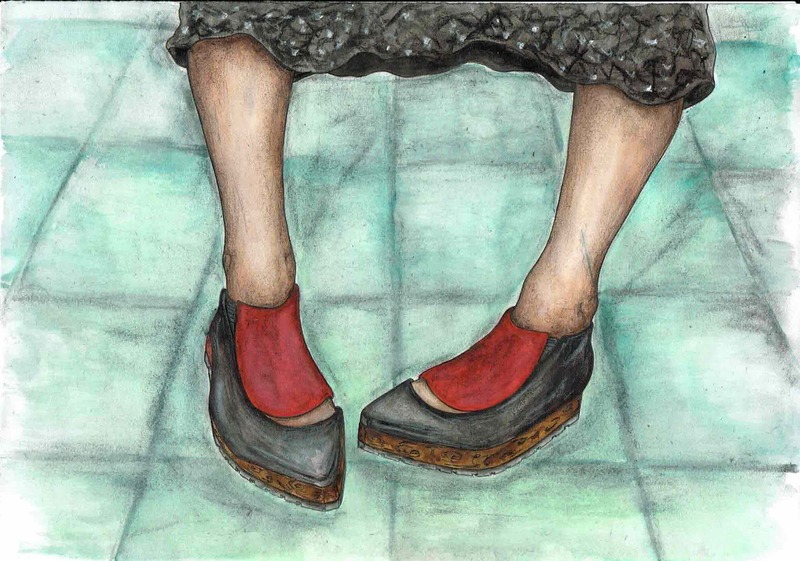 Hate Heels., I was asked to set a competition for students at the London College of Fashion. 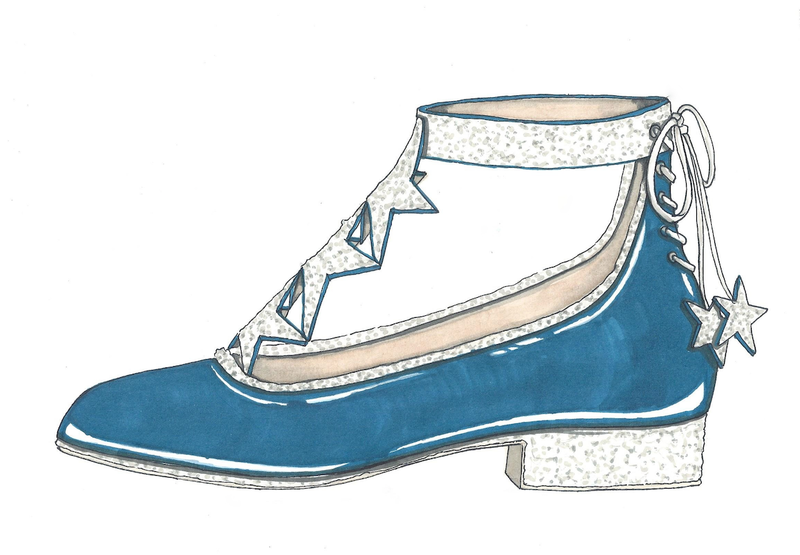 The candidates, all studying BA Hons Cordwainers Footwear: product design and development, were given the task of designing the perfect flat party shoe, and I loved all the entries. 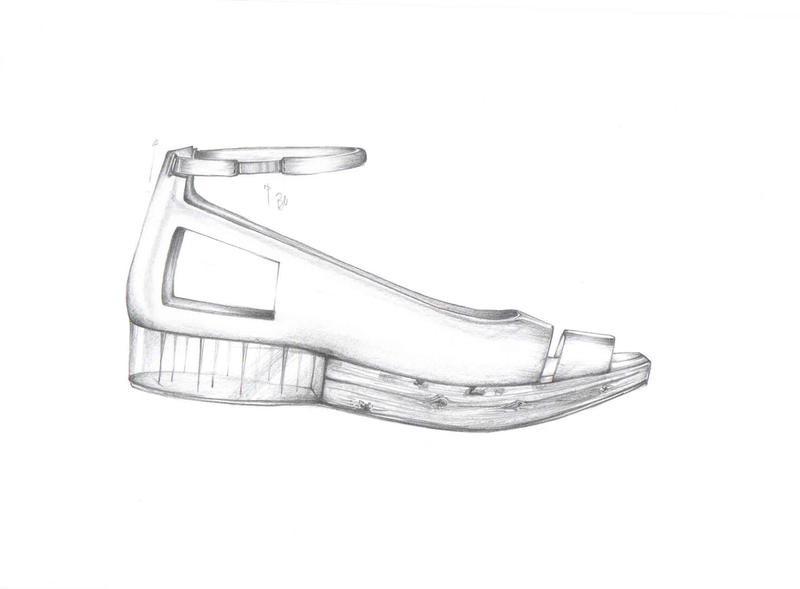 It was such an honour to see the work of these future shoe designers (could one of them be the next Nicholas Kirkwood?!) but I had to narrow it down to my favourites and today, I want to share with you the three runners up. Such a cute design, this one. I love the slightly Glam Rock feel to them (very SS15!) but crucially they don’t stray into platform territory. They’d look brilliant with a metallic A-line party dress but I think I would wear them with skinny jeans and a metallic roll neck top. Maybe even a pair of flares (cropped ones, of course – so you can see the shoes!). Well done Ellie! What I like about this design is that at first glance they appear to be quite classic, but look closer and this is a VERY modern shoe. Those cut out details are really unusual and the (virtually flat) heel is completely transparent. I’m also a big fan of an ankle strap as it’s a flattering feature. Congratulations Tarun! So much to love about this entry – even ignoring the shoes I love the styling with the skirt and the floor tiles! But those shoes are gorgeous, too. They’re a sort of pump/ankle boot hybrid and I REALLY like the contrasting vamp that looks like it’s attached with elastic gussets. Nice work, Sarah! I’d love to know what you think about these designs as well. Which pair are your favourite? Tomorrow I’ll be interviewing the winner and revealing her brilliant designs. Adore Ellie’s designs – as you say, such fun with their glam rock vibe. I’d definitely buy those. Top marks! All the shoes are fantastic, but my absolute favourites are the last pair, Sarah Wetherby’s. I would like a pair now please! Please make those star shoes ASAP, I love them, they could be made into knee high boots as well, yeh !!!!!!!!!!!!!!!!! !